Sándor Ferenczi, the founder of the Budapest School of psychoanalysis, was appointed Chair of Psychoanalytic Studies and the Psychoanalytic Clinic of the Medical Faculty of Budapest University almost exactly a hundred years ago, on 25 April 1919, during the days of the Hungarian Council’s Republic. He was the world’s first full professor of psychoanalysis. His invitation to a university chair was originally demanded by radical students in the autumn of 1918. 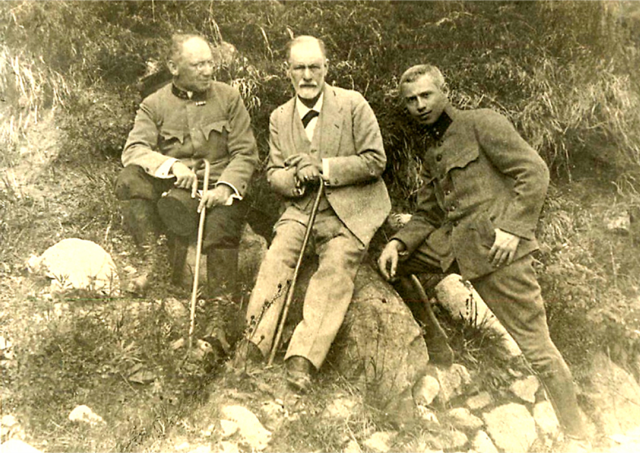 The lecture will show a few antecedents of Ferenczi’s nomination, such as his lectures in the Galileo Circle in 1908, and the foundation of the Hungarian Psychoanalytic Association in 1913, It will specially focus on his activities as an army doctor during WWI and will show how the problem of the psychological consequences of warfare, „war neurosis” or „shell shock” became a major political issue in WWI. Psychoanalysis was a humanizing alternative to the dominant, torturous procedures applied by mainstream military psychiatry. The psychoanalytic approach to war neurosis anticipated later debates on the nature of individual and collective psychic traumata.